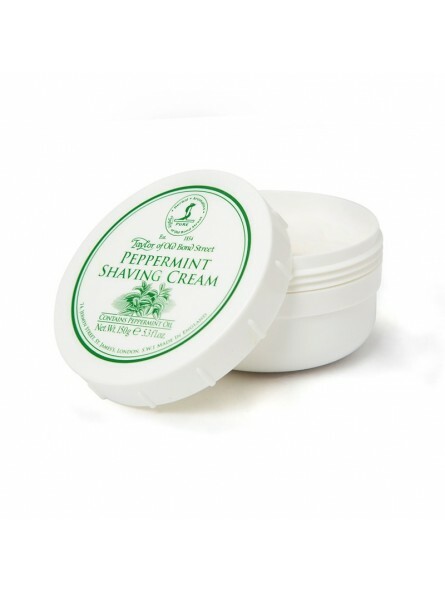 Taylor of Old Bond Street Peppermint Shaving Cream Bowl 150gr. 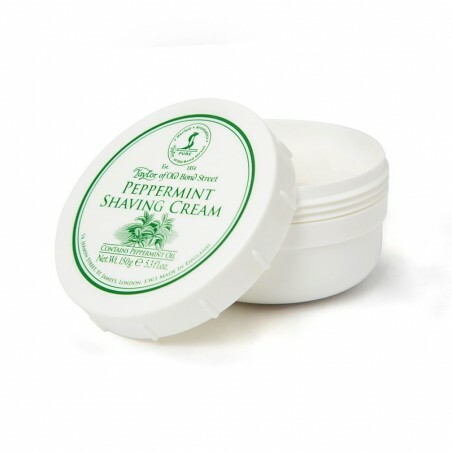 This peppermint shaving cream offers a refreshing and exhilarating shaving experience by creating a rich and luxurious lather. Taylor of Old Bond Street has a reputation for having one of the best shaving creams on the market and this new fragrance doesn’t disappoint. The colour is inviting and has a unique consistency. It creates a rich lather, offers lubrication, protection and moisturizes the skin. It will leave your skin tingling and feeling youthful. A small amount of shaving cream will create a unique creamy lather that will also protect and moisture your skin during shaving. Format - 150gr delivered in a plastic container.